Reprint. Originally published: London: Little, Brown, 2018. 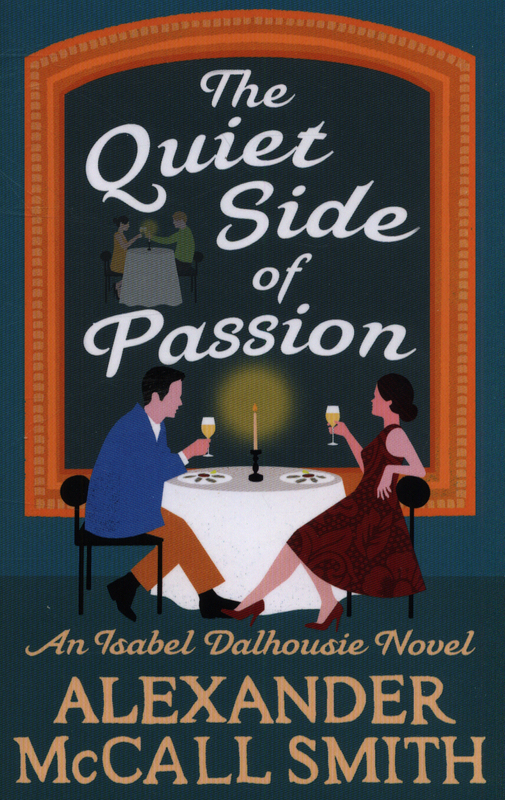 It is summer in Edinburgh and Isabel Dalhousie is once again caught between 'gossip' and significant rumour. It is none of her business that Patricia, the mother of her son Charlie's little friend Basil, is estranged from Basil's father, or that the woman has a somewhat brazen attitude to childcare. And yet, it is curious. Isabel, however, has much else on her mind as editor of the Review of Applied Ethics. Along with the work involved for its impending next issue, she really needs to get her house in order and tend to the demands of her niece, Cat. Thankfully, the arrival of Antonia, the exuberant Italian au pair, will take care of urgent chores. 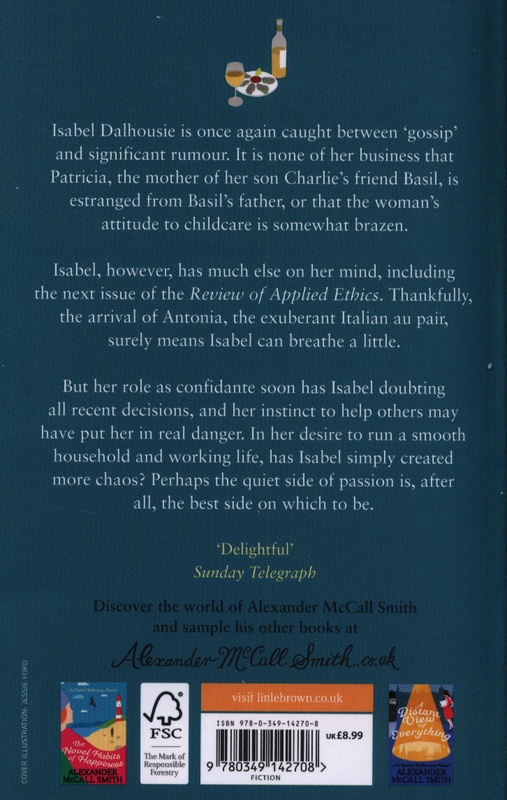 And the hiring of Claire, a diligent if unsettlingly beautiful new assistant at the Review, surely means that Isabel can breathe, at least a little. 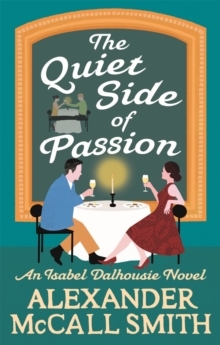 But her sharp observation and assured role as confidante soon have Isabel doubting all her recent decisions. What's more, her instinct to help others may have put her in real danger. In her desire to run both a smooth household and working life, has she simply created more chaos? 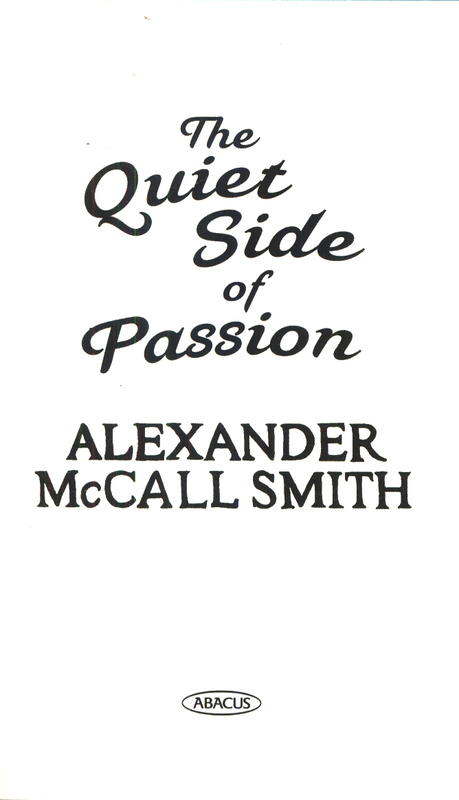 Perhaps the quiet side of passion is, after all, the best side on which to be?